We offer a selection of exclusive South Africa golf holidays. You can either explore all the golfing treasures of South Africa by yourself, or let one of our highly experienced tour guides do the driving for you. 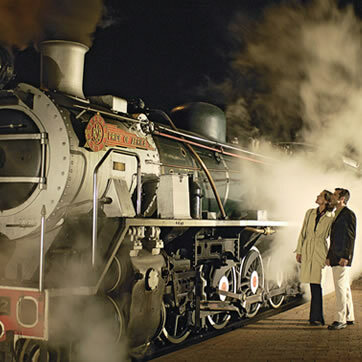 We also specialise in short breaks and all inclusive rail golf packages on board Rovos – the most luxurious train in the world. Our range of South Africa golf holidays is designed to cater for any need that golf travellers may have – simply choose your preferred type of golf vacation from the options below for more info and packages. Grab your golf clubs and take a break for a few days. Relax, we’ll do the driving. Private tours and transfers with a registered tour guide. South Africa, the southernmost country in Africa, bordered on the north by Namibia, Botswana, Zimbabwe, Mozambique, and Swaziland; on the east and south by the Indian Ocean; and on the west by the Atlantic Ocean. Lesotho forms an enclave in the northeastern part of the country. South Africa has a diverse and dramatic landscape. Most of the interior is covered by high plateaus, which are separated from the country’s long coastline by chains of tall mountains. South Africa is rich in minerals such as gold and diamonds, and its industrial base grew up around the mining industry. South Africa is divided into nine provinces. These provinces are Gauteng, Northern Province, Mpumalanga, North-West Province, Free State, Eastern Cape, Northern Cape, Western Cape, and KwaZulu-Natal. The country has three capitals: Cape Town is the legislative capital; Pretoria, the executive capital; and Bloemfontein, the judicial capital. All these provinces are well worth visiting during your golf holiday in South Africa. Embark on a personal journey through a land rich with natural beauty, truly rare wildlife and spectacular landscapes. Discover why this invigorating country has left countless visitors impressed beyond expectations by its friendly locals, diverse culture and the unique heritage. The temperate climate and bountiful natural beauty of South Africa has helped make this country one of the greatest holiday destinations in the world. Having established itself as the benchmark in eco-friendly tourism, the country is home to the most species of wildlife in Africa. A golf holiday in South Africa will be everything you’ve dreamt of and more. From white river rafting to shark diving, the adventure activities on offer are many and varied. Whether you’re watching lions in Kruger National Park, or whales on the Garden Route, the wildlife is awe-inspiring. From the towering mountains of Drakensberg to the lush vineyards of the Cape and golden beaches of the Dolphin Coast, the scenery is simply mesmerising. Perhaps being South Africa/s most famous and touristic city, Cape Town is rich in both culture and history. 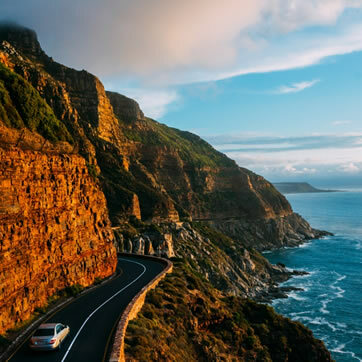 With the backdrop of Table Mountain and surrounded by a rugged coastline, white sandy beaches and a thriving viticulture industry, Cape Town offers the visitor a myriad sightseeing opportunities. The city’s major attractions include the vibrant Victoria and Alfred Waterfront, Robben Island, Cape of Good Hope and the Kirstenbosch Botanical Gardens. South Africa is also home to some of the world’s most acclaimed golf courses. South Africa offers an ideal climate for spending time out on the fairways and golfers here are spoiled for choice. 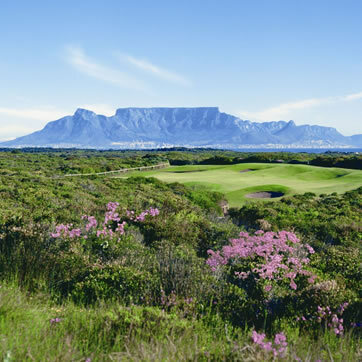 With over 500 courses spread throughout the country, one can understand why so many golfers flock to these shores to enjoy a world-class golfing experience with a unique African flavour. Tourism in South Africa has enjoyed unprecedented growth over the past decade. As a result, the country has emerged as a premier luxury holiday destination, boasting some of the world’s most exquisite hotels and awe-inspiring private game lodges located in the continent’s leading wildlife conservation game reserves. Track down the Big Five animals and thousands of other species in world-famous Kruger National Park, a massive reserve ranking among the best wildlife-watching destinations in Africa. Surrounding the park are private concessions that are less crowded but more expensive than park camps. Explore the relics of colonial government, centred on Cape Town’s Government Avenue, with fine old buildings and museums, including: the Parliament Buildings; Groote Kerk (mother church of the Dutch Reformed faith); the National Museum; the National Gallery; Bertram House; and centuries-old Company’s Garden. See the largest colony of jackass penguins to live on the African mainland at Boulders Beach in Simonstown. The penguins live on a protected beach strewn with boulders and visitors can watch them from a boardwalk. Enjoy South Africa’s almost 24,000 species of flowers, many of which can be seen in the world-class and extraordinarily beautiful Kirstenbosch National Botanical Gardens, created by Cecil Rhodes in 1895 on the lower slopes of Table Mountain. Walk around Cape Town’s main hub, the Victoria and Alfred Waterfront, a beautifully restored old Victorian harbour which offers free entertainment, and a wide variety of shops, museums (including the excellent aquarium), taverns and restaurants. During your South Africa golf holiday you can visit the picturesque Cape Winelands and taste award-winning vintages made to the age-old Method Cap tradition. Learn more about the wine making process and indulge in the history of each estate as well as the region’s rich past, dating back to the early days of the Dutch and French settlers of the 1600’s. South Africa currently has 100 200 ha under vines, of which approximately 18% is planted in the wine of origin Stellenbosch region. Venture into Addo Elephant National Park to track down herds of easily-seen elephant and other game, including black rhino, buffalo and antelope. Excellent private reserves nearby include Shamwari, which has upmarket accommodation plus elephants, lions, leopards, rhino and buffalo. See the only place in the world where hippos, crocodiles and sharks share the same lagoon at Greater St Lucia Wetland Park, which is bordered by giant dunes, beaches and tropical reefs. It also has superb birdwatching and diving. Visit the huge Hluhluwe-Umfolozi National Park, which ranges from rocky hillside to open savannah and thick woodland, and supports some 86 mammal and around 425 bird species. There are more rhinos here than anywhere else on earth. Walk, climb or ride your way around the Drakensberg, South Africa’s largest mountain range, during your South Africa golf holiday. It is a jagged backbone of saw-toothed peaks reaching 3,000m (9,840ft) with refreshing mountain streams, ancient yellow-wood trees and Bushmen cave art. Battlefields: Learn about the series of wars between the Zulus, Afrikaans Boers and British (1830-1902) by exploring their bloody frontline in the northern part of KwaZulu-Natal, an area of rolling grassland and rocky kopjies (hills). Graves, memorials and monuments scatter the region. Follow the Panorama Route at the top of the spectacularly scenic Blyde River Canyon just to the west of Kruger, where there is a series of waterfalls, dramatic mountains, plunging cliffs and spectacular views of the Lowveld 1,000m (3,300ft) below. Go to the Pilanesberg Game Reserve, a man-made reserve and an excellent “Big Five” destination. It is the third-largest game park in South Africa. Adjoining it is the world renowned resort of Sun City. Get diamond fever in Kimberley, where you’ll find the Big Hole, the world’s largest hand dug excavation, and the Mine Museum, with its replicas of 19th-century Kimberley during the diamond rush. The De Beers Hall Museum also displays cut and uncut diamonds. When taking into consideration all that can be discovered, a journey to South Africa exemplifies a truly exhilarating holiday experience. Golf 2 Africa offers a selection of exclusive South Africa golf holiday packages for your perusal. 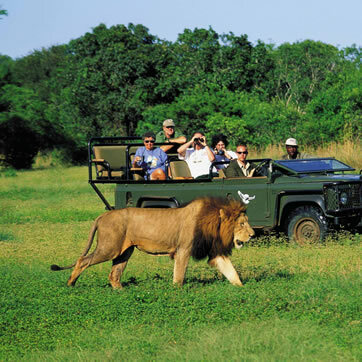 Using a well-respected, certified and bonded tour operator such as Golf 2 Africa gives you peace of mind of having one expert central point of contact in organising your entire golf holiday in South Africa and offers better rates than booking directly at the hotels, car hire companies, safari guides and all other holiday components.